Ranger Pest Control is your local bird control Las Vegas provider. A fact is that birds migrate throughout the year through the region and some can drive you crazy. Our services can help you identify the annoyance birds and take appropriate action to get rid of them. But what are the top birds leaving residents and business frustrated? Let us find out. Over the years, we have studied the behavior of different birds in Las Vegas from their appearance through to their habits. We use the information to come up with the best solution to help rid them of your property. This feathered friend is quiet compared to the other species found in Las Vegas. But they still have an annoying habit! They leave droppings everywhere they travel. Not only does this look horrendous for businesses and visitor to the city and eat human food as well. The big problem is that visitors need to step around or over the piles of droppings. 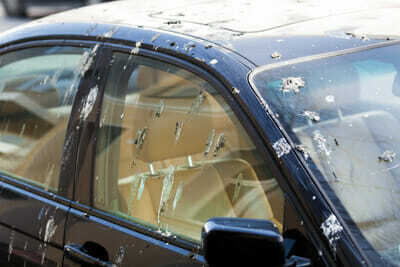 Furthermore, the pigeon droppings pose a health risk for humans. The bird carries different diseases and best to take care of the problem before it turns into a significant problem. You can find this feathered friend all around Las Vegas in large numbers. The crow makes a loud noise that pierces your ears when it thinks you are going to drop some food. You can find them in agricultural areas where crops grow and feed on different plants. They can cause damage to any farmer or homegrown produce. The goose has a distinctive appearance, and you can find a variety of sub-species around Las Vegas. The bird has a black head with a long neck and around the neck; it has a white strip of fur. Not only are the feathers a light brownish with tan color but they have an annoying voice. The primary irritation is when you want to sleep late on a Sunday morning and these birds start serenading each other—there goes the peace in the neighborhood! The feathered friend loves to make their nest in the trees of Las Vegas. For many people, the repetitive sound they make becomes notoriously irritating. Another problem is that they do not only enjoy pounding trees they will hammer on any wooden structure. For a peaceful night’s sleep, this becomes disturbing when a woodpecker pecks at walls of your home or garage. They can cause significant damage to property. What simple ways are there to keep birds away? One can follow many different strategies and depends on the environment. Birds like the pigeon are attracted to food, and they eat anything in sight. Keep your area clean and free from food scraps and throw it away in containers that they cannot access. Another annoying bird is the sparrow and starling as they are scavengers and pick up any food in their sight. So clean up the yard and make sure it is debris free. You can place bird spikes to prevent birds from perching on ledges and prevent them from nesting. Furthermore, you can use harmless low-level shock electronic bird deterrent to prevent them from resting in your place. Alternatively, you can place bird nets with metal wiring to cover the areas where the bird frequently comes. Controlling birds is difficult but if you have the proper training, experience, and training it is possible. Contact us today to keep those annoying birds at bay. We are always available to answer any questions related to pest control.